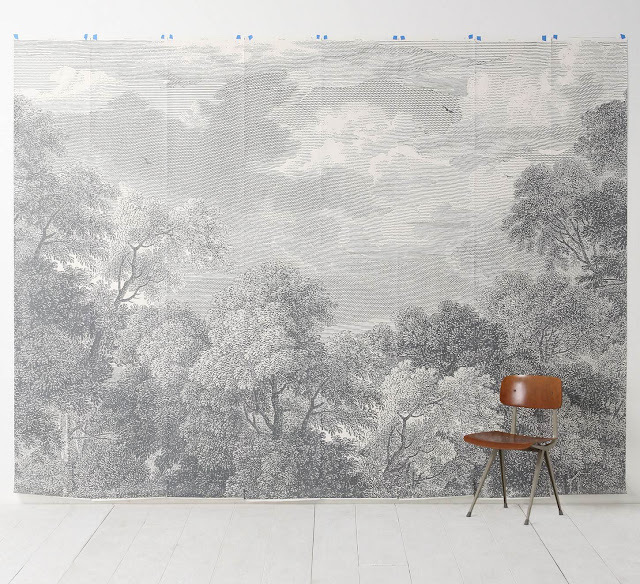 Since discovering the "Etched Arcadia Mural" from Anthropologie recently, I've imagined all of the 19th century love stories that could be enacted against this beautiful backdrop. Perfect enough for Catherine and Heathcliff, for Jane and Rochester, for Lucy and M. Paul. Could you see introducing this gothic-inspired paper to your walls? I wonder if it would be big enough to use as continuous wallpaper in a powder room? Fun, fun, fun! Absolutely the perfect backdrop for any old English novel! Anything that evokes a little Jane Austen is okay by me!